Ousted BJP worker and founder president of All Cachar Karimganj Hailakandi Students Association (ACKHSA) on Sunday came down heavily on Asom Sahitya Sabha’s president, Dr Paramananda Rajbongshi, who on his last visit to Silchar on Shilpi Diwas commented of playing a pivotal role in setting up of Assam University. “I would have supported these students had they asked for the opening up of an Assamese Department in Assam University. If Gauhati University and in Dibrugarh University, have Bengali departments, and likewise, Calcutta University, have an Assamese Department, why can’t there be any such department in Assam University. Assam University has completed 25 years and we still don’t have an Assamese Department. No one is demanding for that. No organization or any individual from Brahmaputra valley or even Barak valley is speaking on this issue. The name of this university starts with Assam and we do not have an Assamese Department,” said, Dutta Roy. Pradip Dutta Roy also challenged Akhil Gogoi of KMSS and Dr Hiren Gohain of coming to Barak valley and talk to the people. 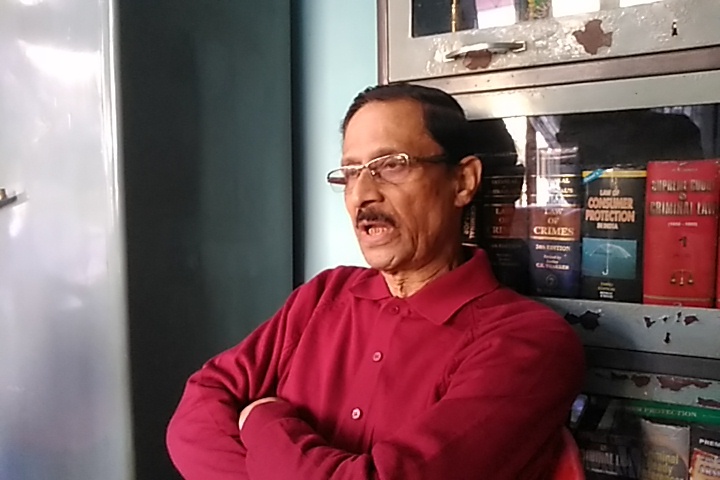 “They all are giving wrong information and falsely propagating that one crore and twenty five lakhs of Hindus would be coming to Assam from Bangladesh, if the CAB gets passed. Hindus living in Bangladesh are very happy and living without fear. This time 18 people from the Hindu community have won parliamentary elections and two have gone on to become Cabinet ministers. They are very happy and no one would come to die in Assam,” said, Roy.